Most of you know that Lindie was in the NICU for 35 days. We later learned that the NICU is a commonplace for babies with Down syndrome, for a variety of reasons. 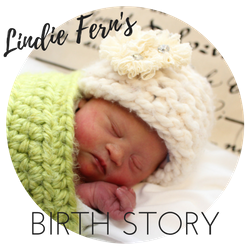 I originally wrote Lindie's birth story back in April after we came home from the hospital. I wasn't ready to write about our NICU time yet, but now I am. I'll try to keep it simple. Lindie was born on a Saturday morning and by Monday afternoon we were home. It was bittersweet coming home from the hospital, not like I had originally imagined bringing home my second baby. I had imagined she would come home to a wave of excitement. Family greeting us at the door. My prepared freezer meals ready to thaw and lots of binging of the Netflix. Instead we felt uneasy. We were happy to have her home, but we felt so unprepared for her future- even just the next day. She wasn't eating. We hadn't heard the results from the echocardiogram. Everything felt uncertain. On Tuesday morning we took her to her doctor for her first follow-up appointment. She still wasn't latching to breastfeed, but I was still trying. Every two hours I would attempt to breastfeed for 15 minutes, then pass her to Chris while he would bottle/syringe feed while I pumped. We showed up to the doctors with a bottle ready to ask a million questions. The first thing the doctor did was encourage us, which was helpful. Then he told us the results from Lindie's echocardiogram- that she had two heart defects: a small Patent ductus arteriosis (PDA) and a large Artial septal defect (ASD). We were so overwhelmed. 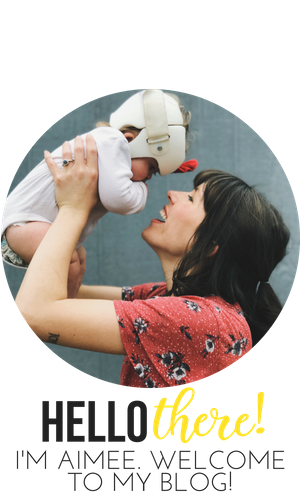 We had just learned that it was common for babies with Ds to be born with heart defects, but we thought for sure Lindie would be an exception. She wasn't. Before leaving, he encouraged us to treat her like any "typical" baby. I couldn't even begin how to tell my brain to do that. I remember driving home from the appointment. Chris was in the front seat. I was in the back with Lindie. Eliza was still at the house with her Grandmas. I started to cry. I felt like the world was crashing down on me. I didn't sign up for this. When we decided to "start trying" to get pregnant we didn't "start trying" so we would have a baby with Down syndrome and we didn't "start trying" so that we would have a baby with heart defects. We wanted a normal, healthy baby. This was not what we signed up for. The news felt too grim. We got home and that's when things went from bad to worse. Shortly after returning, I was in the bedroom alone with Lindie when she threw up the bottle we had given her at the doctor's office. It was the first time I had seen her throw up. I changed her and didn't think much of it. And then she threw up again. And again. And again. After she threw up a few times back to back I called for Chris. He had just said goodbye to his mom and Grandma who had been staying with us up until this point and had put Eliza down for nap. He took over while I scrambled to get clean onesies. But before I could even change her, she threw up again. She began throwing up out of her mouth and nose more than twenty times over the next hour. We went back and forth between wiping away the vomit from her and ourselves. We didn't know what to do and were both so overwhelmed. We began crying and praying. It's all we knew to do. Around this time Chris's mom called. She had been gone about 30-45 minutes. I answered, frazzled. She said that she and Chris's grandma were on their way home and felt like the Holy Spirit prompted them to return and asked if we needed that. We said yes. Praise Jesus for that miracle. They got back to the house pretty quickly after the call and Lindie eventually stopped throwing up. We were convinced she had thrown up everything in her system. They started making dinner while I laid in my bed with Lindie on my chest. As she was laying on my chest I noticed her irregular breathing. Something felt off. She would breathe really fast for a while, then slow down and it sounded like she had liquid in the back of her throat. I called Chris to our room and had him listen. He agreed that it sounded off. Over the next hour or so we scrambled to call the doctor after hours and keep her from throwing up more. We were afraid of taking her to the Emergency Room only to be sent home and told that she was fine, and yet something seemed wrong. Finally, after talking to an after hours nurse and Chris encouraging me to "trust my instincts" we started making preparations for the hospital and put Eliza to bed. Putting Eliza to bed was a sad and memorable moment. She was still so excited about having her sister home and despite our difficult past 24 hours at home, was oblivious to anything that was going on. I kissed her cheek and hugged her neck and walked away before she saw the tears on face. We bundled Lindie up and drove to the hospital. At this point I was so concerned about her breathing, I didn't even buckle her in her carseat. I held her close to my chest in the backseat while Chris drove. I was afraid she was going to stop breathing during the drive. She was so tiny and so fragile. I hugged her close to my body to feel her breath. Chris dropped us off and parked the car. The summer between my freshman and sophomore years of college I came home and worked at our local hospital as a receptionist in the Emergency Room. It was an interesting gig. Some nights were so boring that I was able to master 100 pages in my beloved Harry Potter book. Other nights were chaotic. One thing I was taught early on was to identify the patients that needed to be triaged immediately. They skipped all the other people in the waiting room, because their need was more urgent. When I walked up to the desk that night the receptionist went right to work at getting the triage nurse to see us. I looked around and noticed about 15 other people in the waiting room. It felt weird to be the mom of a patient bumped to the front. We were sent back just as Chris was coming in from parking the car. Two nurses laid Lindie on a bed that was way to big for her tiny, 5 pound something ounce body. They asked questions and we began to explain everything that had happened in the last few hours. Immediately they told us she would need to be admitted to the NICU for the night and went to work. From there a whirlwind of things occurred. In less than 30 minutes she was poked and prodded and moved to a bigger room. As we sat in chairs holding each others hands and her tiny head, they performed a number of tests. They did an x-ray, an ultrasound and at some point an EKG and an echocardiogram. They did blood tests and hormone tests. All the while she was attached to a suction tube that was sucking out her stomach, emptying her of every drop of breastmilk and colostrum my body had made for her in the last four days. She was also given an oxygen mask because she was struggling to breathe. The whole time she laid limp with her eyes closed. Sometime after midnight I got up to pump and take care of my lady parts. I had just had a baby. Naturally. 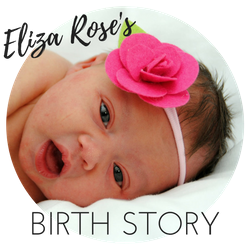 At this point in Eliza's post-partum story I was still laying on the couch with a pillow under my bum. This time I didn't have that option. I remember returning to the room and looking from Lindie on the bed to Chris at the chair and I just couldn't believe it. I couldn't believe that this was our life. I couldn't believe our newborn daughter was here in front of us getting her stomach sucked out on an Emergency Room bed. We should have been at home sound asleep with her swaddled and warm in the bassinet beside my bed. It wasn't fair. Around this time they started making preparations for the NICU. They brought in the most gigantic bed ever with so many attachments and contraptions and asked if we wanted to follow. We walked down hallway after hallway and finally transitioned from Saint Francis to the Children's Hospital. When I first found out I was pregnant, I immediately began searching for an OB. A mutual friend recommended my doctor. After doing some research I set my first appointment. She was a doctor with Saint Francis which was right next to the Children's Hospital. That sounded good in my mind. I told Chris the day I scheduled my appointment that "if something were to happen to the baby, we'll be right next to the Children's hospital- just in case." I never actually thought I'd be using said hospital. We arrived at the NICU. The nurses sent us to fill out paperwork while they took Lindie back to prep her room. The receptionist was the best. He was kind and calm and super chipper for the early 4 am hour we found ourselves in. He told us where we could find a shower and where to put our food and how to date it so it didn't get thrown out after two weeks. I remember asking myself "why is he telling me this? We're only going to be here for the night." After giving us our "Mom" and "Dad" badges, he recommended a cup of waiting room coffee and told us to take a seat. We waited for about 45 minutes before we were called back. We followed the nurse to Lindie's room. I barely remember the walk or being called to go back but I distinctly remember walking in and seeing her. It took my breath away. That's when I knew we were going to be there longer than a night. When we walked in, she was under the purple and blue bilirubin lights for jaundice. She had a black mask over her eyes. She had an oxygen cannula in her nose to help her breathing and she was hooked up to two IV's, one in both arms. She had a heart monitor attached to her chest and an oxygen monitor on her right foot. She also had a big sore on her chin from all the failed attempts at breastfeeding. Poor child. We held her head and wept over her glass bed. Pretty quickly the on-call pediatrician came in and answered our questions. He told us that Lindie had aspiration pneumonia, most likely caused by an obstruction in her duodenum and that she also was jaundiced. He told us we would find out more in the early morning and to get some sleep. I pumped again and, after sending another text to our family, we fell asleep. A few hours later we awoke to the morning. Pretty quickly we were introduced Lindie's nurse that would become one of our favorites. Right away I liked her because she was so helpful and explained everything to me. I asked so many questions. This was all so new. And she was there to answer them all. (Thank you for your patience, Sarah)! Shortly after waking we were also introduced to Lindie's GI surgeon. If anyone ever radiated confidence and calm in equal measures- he was the guy. He began to explain what was going on with Lindie. She had something called duodenal atresia, an obstruction leading to her duodenum. Lindie's was a partial obstruction, which is why she had bowel movements before leaving the hospital Monday. He wanted to operate first thing Thursday morning. It was Wednesday. We agreed. Around that time our Pastor and his wife arrived at the hospital with coffee and breakfast. The saints they are. We scarfed it down and processed. We were still very much in shock, but we were relieved to have some answers and friends after our unchartered night. That morning we sent out our first message on Facebook begging for prayers. Lindie's picture and story was shared hundreds of times by people all over the country. We felt so loved and cared for by everyone. So, instead of rewriting all of that, I'm going to go ahead and link those updates below. I will say that we have pretty positive memories of the NICU. Our nurses, doctors and therapists were all incredible. They went above and beyond to take care of our girl. We felt confident with Lindie under their care. 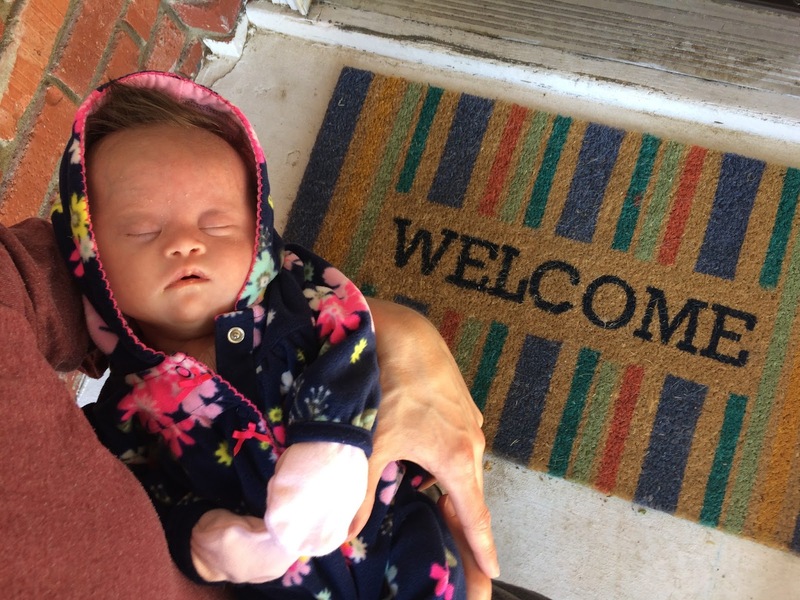 For the first few weeks of Lindie's stay, the NICU was a place of relief and reprieve. We got answers to many of our questions, which provided us so much relief. It also gave us a chance to catch up and begin to understand more about Down syndrome. I slept more while Lindie was in the NICU than I would have if she would have been home. Our family and friends and church rallied around us so we didn't have to worry about things like eating and drinking and who was going to watch Eliza and mow our lawn. Those things were taken care of without asking. But by the end of our NICU stay, we were exhausted and worn down. Lindie was having so much trouble eating and we were eager to be at home- the four of us- together. We were eager to be in our home again and get into a rhythm. In all the 35 nights that Lindie was in the hospital, she never spent a night alone and she rarely was fed by a nurse. Everyday we traveled back and forth between our house and the hospital and back to our house and back to the hospital. Somedays we made special trips- like once I went to Panera with Eliza and once I went to target- but usually it was between those two places or work for Chris. We were loved on, prayed for and cared for. We were exhausted and worn down but we were overflowing with thankfulness for our community around us. And finally, on April 11th- after 35 LONG days and nights, two surgeries, so many IVs, a broviac catheter and all kinds of in between- we went home.